ACACIA Home Care provides affordable, non medical in home care assistance and monitoring to seniors so they can live in their own home for as long as possible. Whether for yourself or a loved one, having ACACIA Home Care services in your home provides security and peace of mind while promoting independence and improving quality of life. In addition, families of aging loved ones can rest comfortably knowing there is local, reliable and trusted care that's customized to meet individual needs. 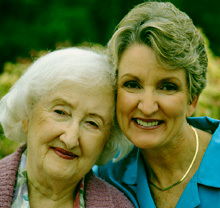 ACACIA Home Care provides complimentary assessments to help determine what services will best fit each family's needs. Our personal care services are currently available in central Wisconsin including Fond du lac, Winnebago, Sheboygan and Mantitowoc Counties and each of their surrounding communities. Our SimplyHome Technology solutions are available throughout southern and central Wisconsin.